I have a dream… – Must. Write. Or else. 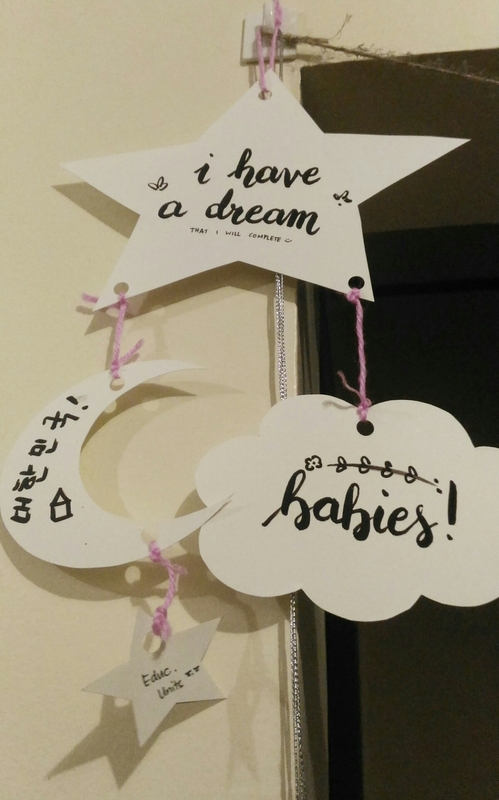 A few months back, a friend asked us in our care group to complete a dream mobile where we had to write down our short-term and long-term goals. Long-term goal: Have our own house and visit Korea. Ever since I started teaching ESL to Koreans, I’ve been dreaming of going to Korea to experience their life and culture — and to practice my speaking as well. It’s been quite a while, and new slang words are being introduced every day. I think it would be great if tables were turned and I was the student in a foreign country. I can only imagine! So how am I faring with my goals? No, I don’t wanna talk about it. I’m not even halfway through my short-term goal!